One Care Consortium website is live! We are delighted to announce that onecareconsortium.co.uk is now live! Our website will keep you up to date with all One Care’s latest news, help you to easily find more information about the programme, the team and the Prime Minister’s Challenge Fund. 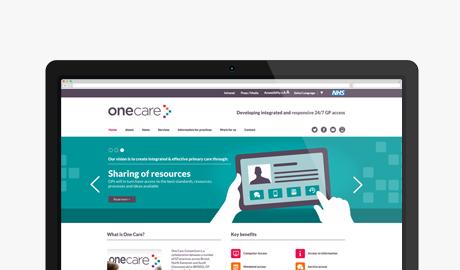 We will also be tweeting on @onecaretweets and our services page will explain more about what we as One Care Consortium are currently doing. The Programme Team have been working with fantastic Bristol-based design agency The Group of Seven on our web presence and we would love you to contact us to give us any feedback you may have on things you would like to see included on the site.